You are here: Home / FREEbies / FREE Christian Audio Book! Here’s a great FREEbie for all of you who like to listen to audio books – through the month of February, you can get a FREE Christian audio book! 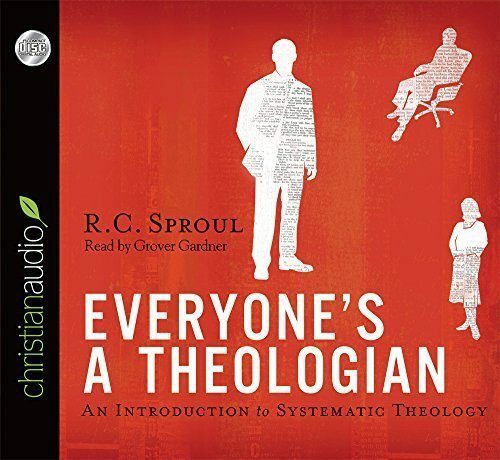 Download Everyone’s a Theologian by R.C. Sproul for FREE! This is selling for $56 at Amazon , so this is a fantastic deal! Just enter your email address to get your download! Yes, everyone is a theologian. R.C. Sproul offers a detailed explanation of the importance and role that theology plays in the Christian life. In his usual manner, he is able to make complex subjects easy to understand. This significant theology introduction will aid any believer to apply Christian truths in their walk with Christ.